This is a wonderful time to focus on intentions, new beginnings, and what you want to create as you say goodbye to 2016 and begin a fresh year. Many of you are beginning preparations for IVF in 2017. If this is you, right now is your perfect opportunity to sow the seeds for the ultimate new beginning: conception. If you are preparing for IVF success in the new year, I suggest you start from the outside in and begin by cleansing your body of harsh chemicals. But did you know that cleansing your body of HORMONE DISRUPTORS increases the chances of IVF success? 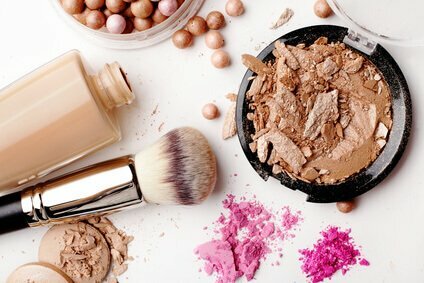 These sneaky additives are in all kinds of things from our beauty products to our foods, and through no fault of our own they can build up inside our systems. Fertility cleansing supports the liver to cleanse toxins and excess hormones, while also supporting the uterus to cleanse stagnant blood – and tone tissue! The uterus may not fully release its contents every month due to low circulation, hormonal imbalance, unhealthy diet, and more. I’ll walk you through exactly how to cleanse the chemicals your body absorbs from products and foods that impact your hormones. You’ll see some familiar no-no’s on the list of what to chuck, and most likely some surprises. But most of all, I think you’ll be inspired. Even though it can feel overwhelming to rehaul your bathroom cabinet and your kitchen cupboards, it’s also a relief to discover that you’re surrounded by fertility inhibitors that you can actually do something about. And getting rid of those things? It feels really, really good. To make it super easy for you, I have made a list of all the ingredients you want to avoid. When you download our Cleanse for IVF Success Detox Checklist, take a look at the list and make note of changes you can put into place instantly (usually by tossing toxic products straight into the bin) and others you’ll want to incorporate more gradually (like switching to organic produce or grass-fed meats). The important thing is to rid your body of chemicals that can inhibit the hormonal balance required for conception, and don’t worry, it really can be easier than it looks.